Happy 2010 from Alfred & Jakobine! Alfred, Niels and Anpo in the middle of their journey. Happy New Year to all of you. We've been busy at work on a brand new trailer for the film, and it is coming together very nicely. You will see it before anyone else next week. This new trailer, for the first time, will properly represent all the dimensions of the story, now that the film has been shot. Most importantly, it will, more than our current trailer, evoke the key role of Niels in the film, Alfred and Jakobine's son. 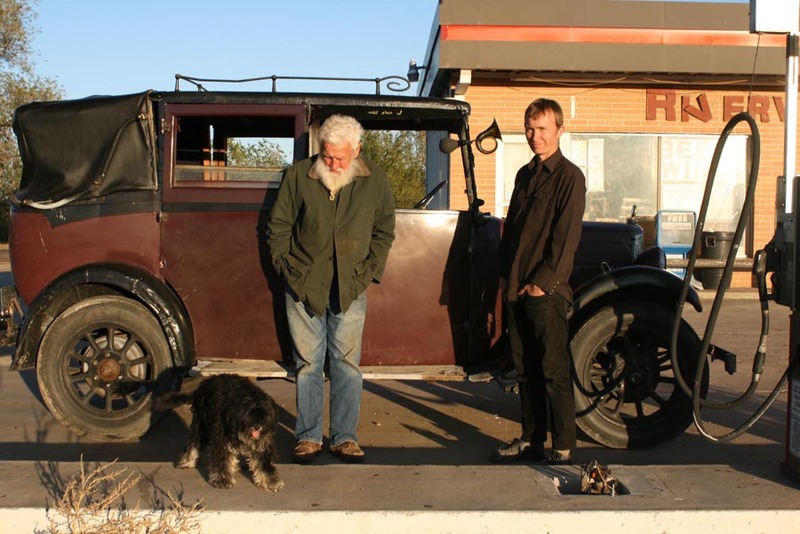 Niels, of course, made the journey with Alfred across the country in the old taxi, and within the film, it will be through Niels that we will learn of the epic story of his parents' greatest adventure, and of Alfred's plans for the taxi before the new road trip begins. Many of you have asked how the trip went. Did they have problems along the way? How did the taxi do? Did they make it all the way to Jakobines, and if so, how did she react? The answers to some of these questions will be contained in the new trailer, but certainly not all. For these, you'll have to wait for the actual film! One final update for now, is that we are about to go into final editing! Our talented editor, Alan Mackay, is now ready to jump in, and we're all very excited to see how he crafts the story, from the over 80 hours of footage that we shot. Also, we have new composers lined up to create music, and a beautiful score for the film, which is so important. It's all very exciting, and we'll keep you posted more frequently now, as things move toward completion, and for now, keep an eye out for the brand new trailer next week.